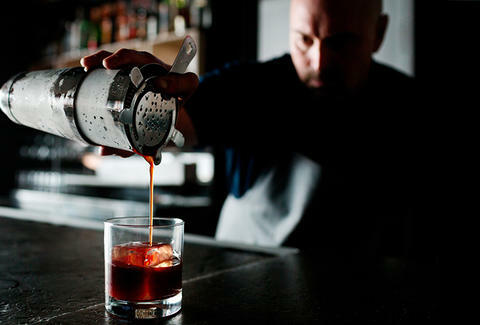 The second location of the crazy-acclaimed gastropub Plan Check is now open on Fairfax, and in addition to twice the space and the same super-sweet burgers topped with their proprietary, mess-less "ketchup leather" (think Heinz-flavored "fruit leather"), this new spot's also got drinks from Matt Biancaniello, oft-considered one of the best barmen in LA. He's also about to be considered one of its most generous, too, because he's hooking us up with ONE HUNDRED free drinks for our 21+ yr-old readers. How do you get one? Obviously you're gonna need to scroll to the bottom read through this entire story (!) to figure that out. Let's start here: this's the spot. 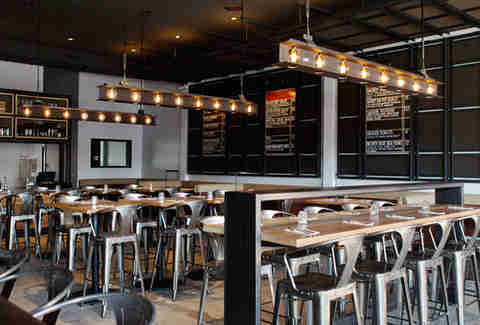 It looks super similar to the Sawtelle original (modern-industrial FTW! ), save the whole "twice as big" thing. 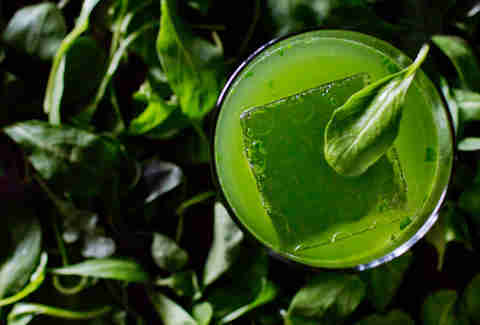 Biancaniello's menu feels expertly bespoke, with every drink more fantastically different than the one next to it, including this Splender In The Grass, which has oddness like aloe liquor, agave syrup, truffle salt, and "a handful of arugula". Daily vegetables? Check! 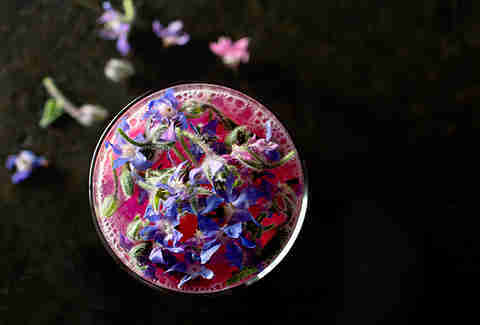 More drink awesomeness: this's a Breeder's Cup with Tito's, beet horseradish, applewood-smoked salt, and flowers!! You want MORE? You're so demanding. 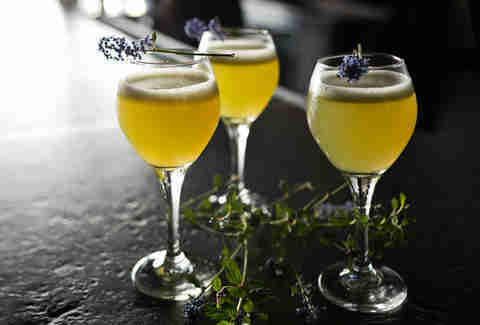 Well, depending on what kinda person you are, we'd recommend opting for the dessert coupe -- a combination of candy cap mushroom ice cream and espresso stout -- or this Health Kick, which'll help massage your liver with aquavit, mezcal, and celery juice (Editor's note: you're the kinda person who opts for both). 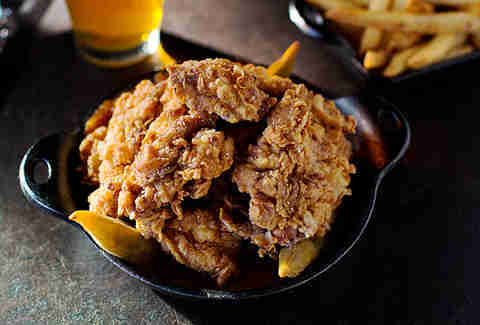 And that fried chicken we promised you in the headline? It's smoked and served with milk gravy and fried okra. OH? You came this far to find out how to get your free drink? Just tweet this and then go in and mention Thrillist during their happy hour (3-7p) or late-night (10p-close), and if you're one of the first 100 to ask, they'll toss you one totally gratis.